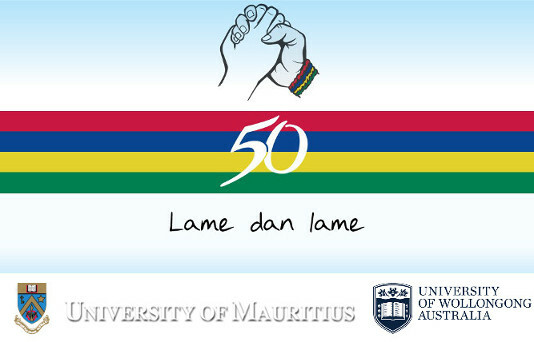 Citation: Anu Bissonauth-Bedford, Attitudes towards languages in Mauritius with particular reference to Kreol in education: preliminary results, Lame dan lame? La main dans la main? Hand in Hand? Conference, University of Mauritius and University of Wollongong, 2019. Abstract: This paper investigates patterns of language use and language attitudes of young Mauritians in education with special emphasis on Kreol, taught since 2012 in primary education and from 2018 in secondary schools. The first section gives a brief overview of the current language situation. The second presents the fieldwork methodology used to collect data in schools in August-September 2018. The data is compared with results from a previous study carried out in the mid-90s on attitudes towards languages with a focus on Kreol in education. Preliminary results reveal that younger generations of Mauritians are more accepting of and have positive attitudes towards Kreol in education than their counterparts did two decades ago. While English and French are perceived as the most important languages in Mauritius, Kreol and Asian heritage languages lag behind in the diglossic patterns of language use. Despite a steady decline in the use of Asian heritage languages in the home, language attitudes highlight a strong cultural and religious attachment to these languages. The conclusion discusses implications for Kreol in education and its role as a marker of national identity in Mauritius. Bio: Dr Anu Bissoonauth is Senior Lecturer in French in the Faculty of Law, Humanities and the Arts at the University of Wollongong. Her research interests include social, cultural and political challenges in multilingual and multicultural creolophone societies, where French comes in contact with local Creoles and/or migrant heritage languages as well as global English.